The Commission for the Management of State Capital at Enterprises has thrown its support behind Airports Corporation of Vietnam (ACV) as the investor in the T3 passenger terminal project at Tan Son Nhat International Airport in HCMC. 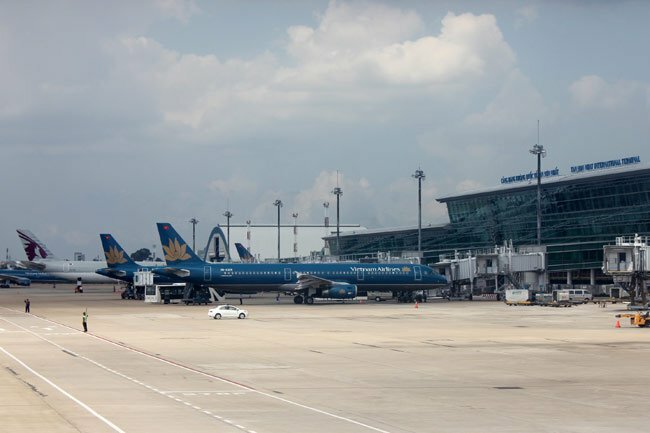 According to a notice signed by Vice Chairwoman Nguyen Thi Phu Ha last week, the commission has agreed with the solution chosen by the transport ministry, picking ACV as the investor in the T3 terminal project. According to the commission, ACV is an airport operator, and it will carry out the project with its own capital. Earlier, during the collection of suggestions from the relevant ministries for the project, which is expected to serve 20 million passengers annually, the Ministry of Finance and the Ministry of Planning and Investment voiced concern over the investor role of ACV. As ACV is operating as a joint stock company, the Government cannot give it a project, per the laws on Investment and Construction. Therefore, the Government should put the project up for public auction or assign State capital as the investor if the terminal is regarded as a pressing project, noted the ministries’ representatives. However, the transport ministry still insisted on assigning the project to ACV, stating that the firm has experience in investing in and operating 21 airports nationwide. Besides this, ACV is capable of investing in the project, which costs some VND11.6 trillion, with its retained profit. Therefore, if ACV is chosen, the development of the project will move on as scheduled from 2020, thus enabling the terminal to begin operating two years later. Otherwise, the bidding project would take a few more years while Tan Son Nhat Airport faces a severe overload. Meanwhile, the commission noted that giving the project to ACV would ensure compliance with the rule that each airport must be operated only by a company. The current T1 and T2 terminals at Tan Son Nhat Airport are also funded and run by ACV. Sharing the same viewpoint with the ministry, the commission agreed that it is an urgent project. Although transparency is secured if investor selection is conducted through a public auction, it is time consuming and complicated to provide training, grant an operations certificate and coordinate with a new investor. At present, the Government has yet to make a decision between the two suggestions.